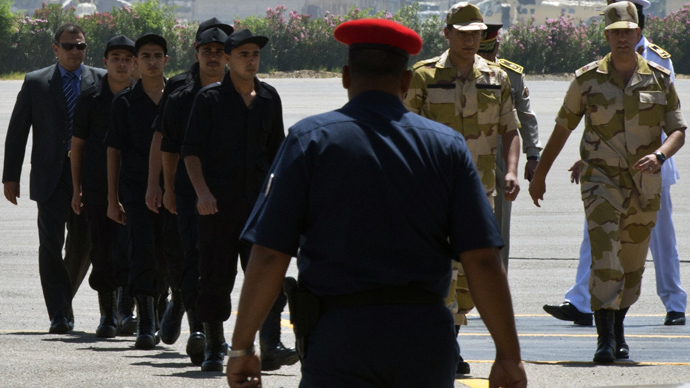 On the back of massive US aid, Egypt’s military remains a bastion of stability within a sea of tumult. But with US financial support hanging on the meaning of the word ‘coup’, the ouster of Mohamed Morsi threatens Egypt’s last institutional anchor. Following a 1979 peace treaty with Israel, subsequent US largess for Egypt has been primarily military, with $68 billion in American support having been provided in the ensuing decades, according to the Congressional Research Service (CRS). For 2013 the White House secured $1.3 billion in US aid to Egypt's armed forces, along with $250 million in economic assistance, maintaining the country’s longstanding position as the second-largest recipient of US aid after Israel. US financial critical to Egypt’s military, as it accounts for 80 percent of Egyptian army material and close to a third of its budget, AFP reports, citing the CRS. The aid has guaranteed US naval vessels priority access to the Suez Canal and maintained the Israeli-Egyptian peace treaty. Further bolstering Israel’s security, Egyptian security forces seize weapons bound for the Gaza Strip and fight to suppress extremist forces fighting on the Sinai Peninsula. Bilateral military exercise between the two states, dubbed ‘Bright Star’, have been held biannually since 1980, with the next round of war games slated for December despite the recent turmoil. Egypt has also benefited from US military hardware, as M1A1 Abrams tanks and F-16 fighters are both produced under license. Since 1980, Egypt has contracted for 1,200 of the armored fighting vehicles and 220 of the jet fighters. Apart from financial support, many of the Egyptian armed forces’ top brass were forged in American schools, creating strong bilateral military relation between the two states. Between 2000 and 2009, more than 11,500 Egyptian military officers – approximately 2.5 percent of the country’s entire military – have trained in US schools. Chief among the US educated Egyptian officers are none other than General Abdel Fattah al-Sisi – the current Supreme Commander of the Egyptian Armed Forces – and Egyptian Army Chief of Staff Sedki Sobhi, both of whom spent a year at the US Army War College in Carlisle, Pennsylvania. “The two main military guys in Egypt right now both have reasonably fresh ties to the US military,” Stephen Gerras, who taught a critical thinking course to Sisi at the college and served as his faculty and thesis advisor, told AFP. “[Sisi’s] very serious, he's very smart, very pious and he's very warm,” Gerras continued. The decision to unseat democratically-elected President Mohamed Morsi on July 3 has threatened a relationship Washington invested decades and billions of dollars to cultivate with Egypt. US law forbids the conveyance of aid to a country in which a coup has transpired, resulting in White House reticence to draw a line in the sand over what exactly brought about the toppling of the Morsi government. The US decision on whether to declare a coup will be "based on the timeline that is in the best interests of a democratic transition in Egypt, that is consistent with our legal requirements and our national security interest," Carney continued. 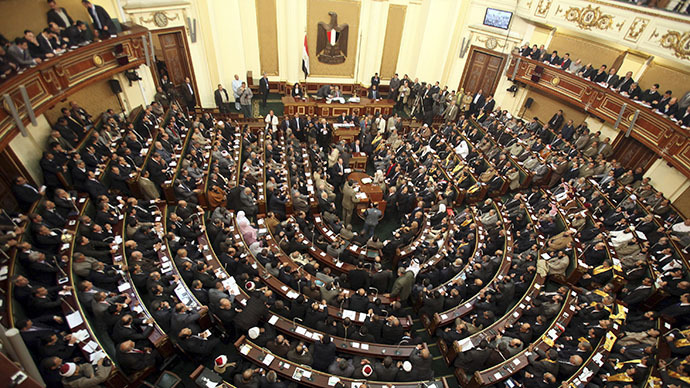 Several leading US lawmakers from across the aisle have been more direct in describing recent events in Egypt. Immediately following Morsi’s ouster, Democratic Senator Patrick Leahy of Vermont said some of Egypt’s $1.5 billion in aid should be cut off, and has subsequently called for a close review of the situation. Republican Senator John McCain of Arizona has further said that funding should be halted under a democratic transition of power has taken place. 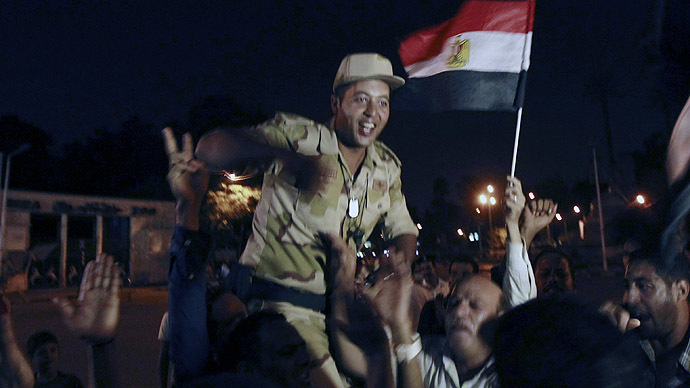 Carney for his part noted that many Egyptians on the streets do not believe a coup transpired, as the military moved to intervene against creeping authoritarianism. The issue is "highly charged for tens of millions of Egyptians who have differing views about what happened," Carney said, calling it "an extremely polarized situation." Egypt remains on the precipice, with 51 people being killed in clashes between the country’s armed forces and the supporters of the former Islamist president. 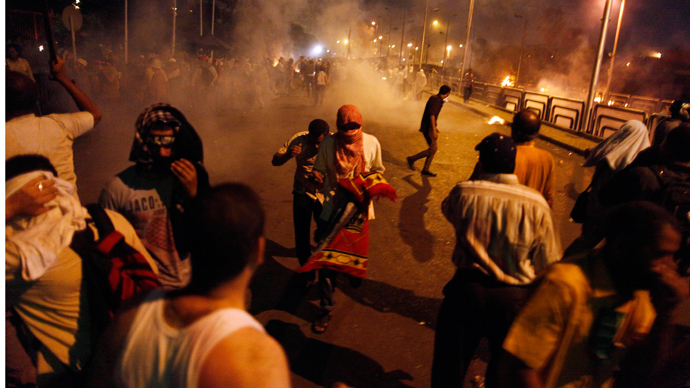 Leaders of the Muslim Brotherhood have rejected a timetable for elections proposed by interim President Adly Mansour. “Since 2008, they would have young Egyptians coming to America, go to the State Department, meet at the time Condoleezza Rice and others, and learn how to use modern technology to start an uprising in Egypt. So this uprising from the very start was aided by the United States and one of the favorite horses in the race has been and continues to be [Nobel Peace Prize winner and opposition leader] Mohammed ElBaradei. He is the one who actually met with the military to remove Morsi,” she argues. “US officials were late in seeing the crisis coming, and their advice – much of it out of step with events -- was ignored by all sides,” he argued in the Washington Post. Sabah Al-Mukhtar, President of the Arab Lawyers Association, told RT that while there is no doubt that a coup d’etat cool place, a lack of clear policy rather than conspiracy has led to instability in Egypt and beyond. “They don’t know whether they [Morsi and the Muslim Brotherhood] should go or come…The US and Europe really have no policy because they want a designer-made government in these places. They didn’t like Mubarak. They don’t like [Syrian President Bashar] Assad. 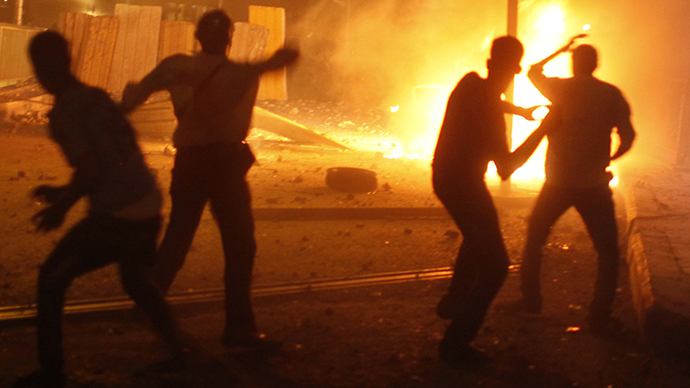 They don’t like the [Muslim] Brotherhood. They don’t like the nationalists. They don’t like anybody. So, they all know whom they don’t want, but they don’t know that they must accept what the people want, otherwise, the strife will continue,” he argued.